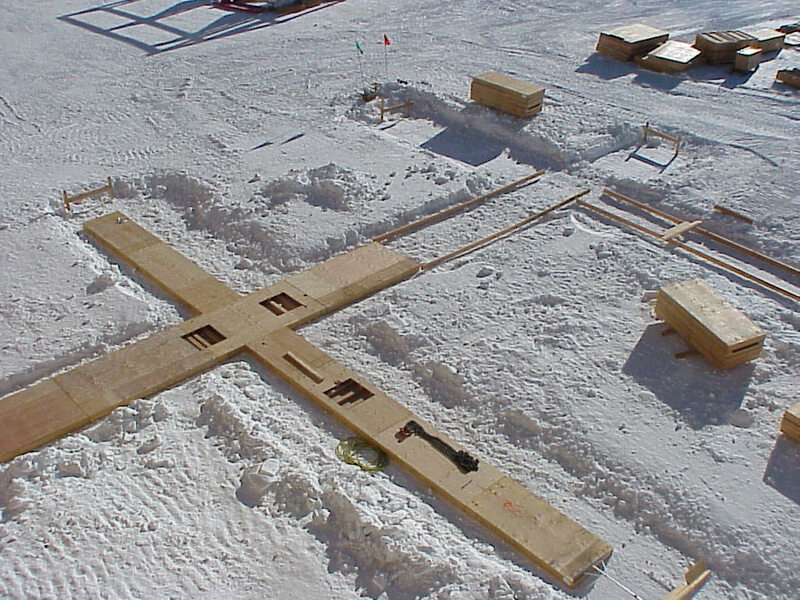 The columns and trusses for B3 were the first project of the summer...here folks are staging material and getting ready (JM). ...and behind the station (WR). 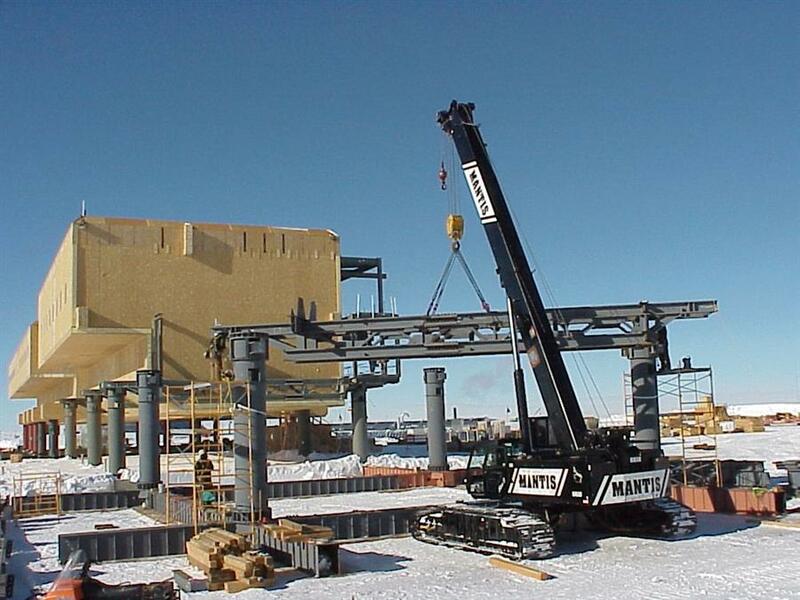 ...followed by the main framing truss for the first floor of B3 (JM). A view from the back side of the new station (JM). 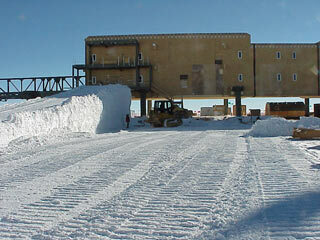 Next, digging out for the B1 foundations (0203). 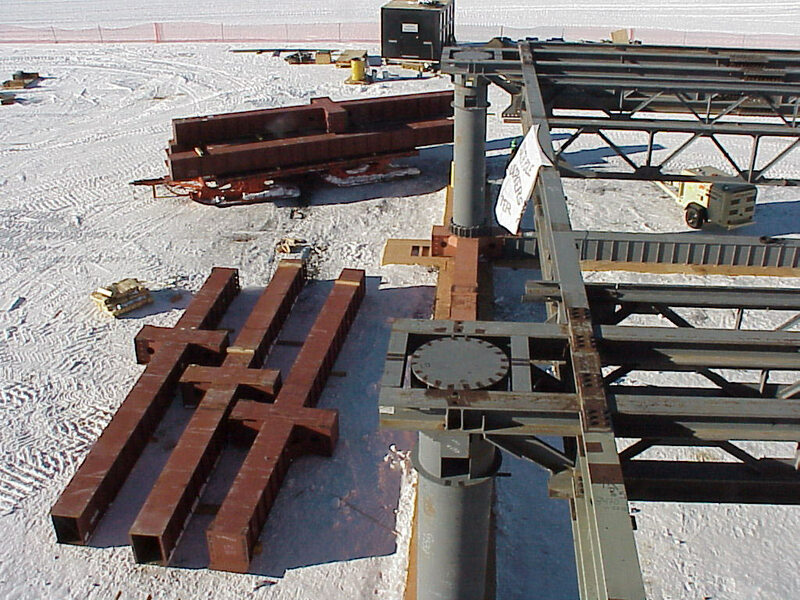 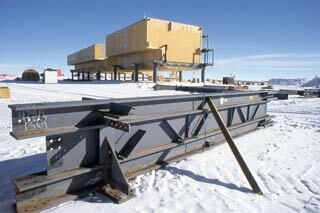 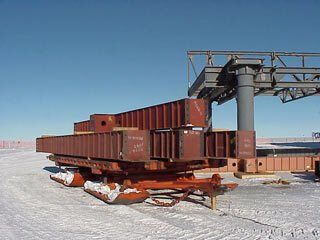 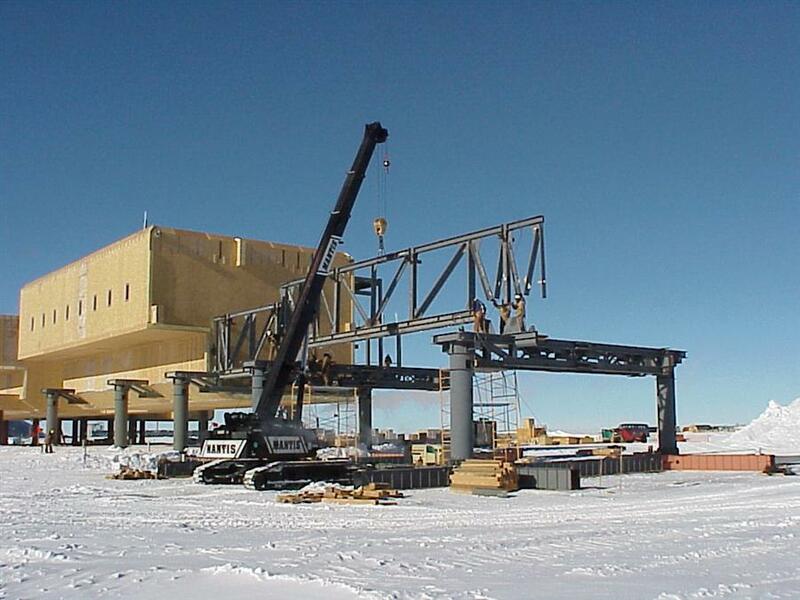 Some of the steel foundation beams for B1 staged on a sled next to the B3 frame (0203). 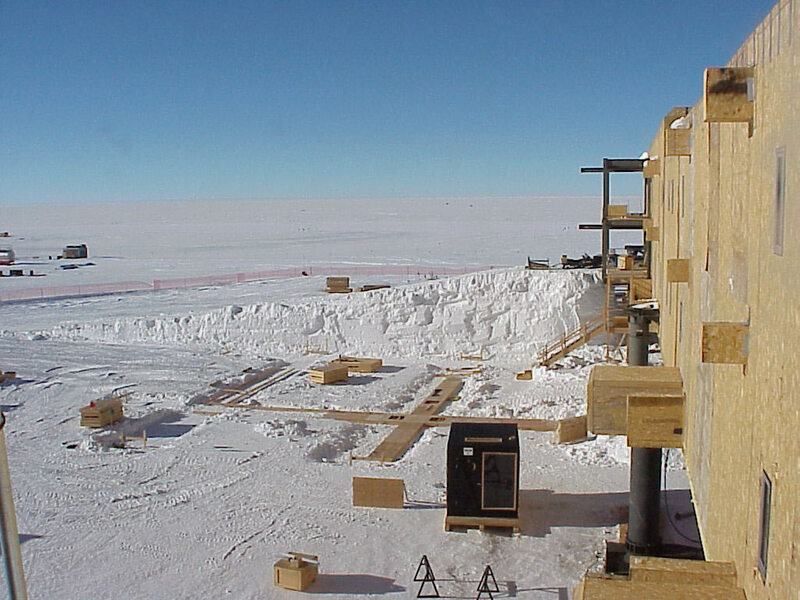 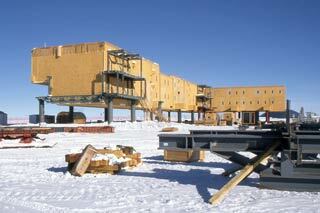 Another view of the staged beams, probably taken from the level 2 B2 back deck (0203). 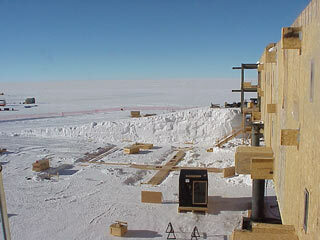 Laying down the timber grade beams (0203). ...and from the ground (0203). 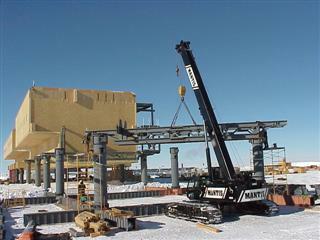 The columns and grade beams for pod B1...as far as was planned for this season. 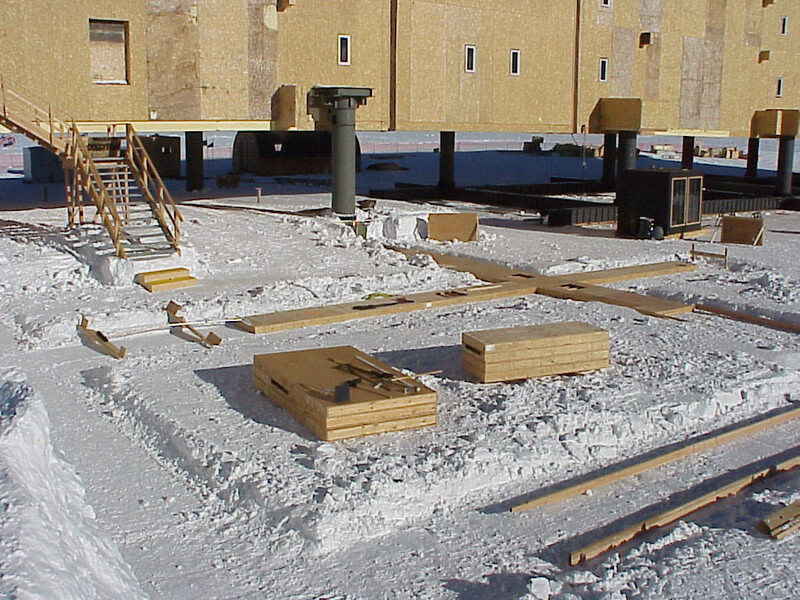 B1 now houses the "emergency camp"--i.e. 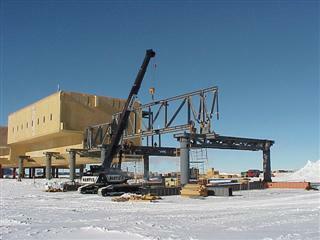 a power plant, emergency galley, and emergency/summer berthing (JM). 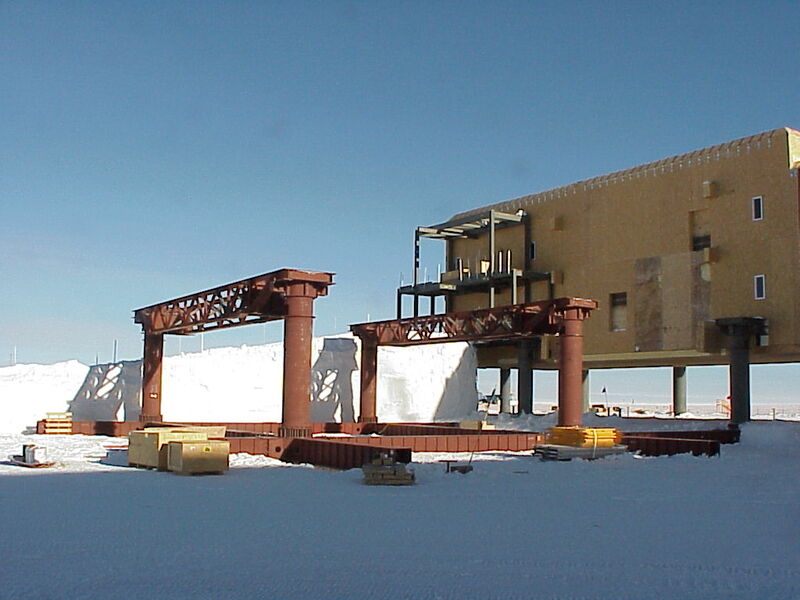 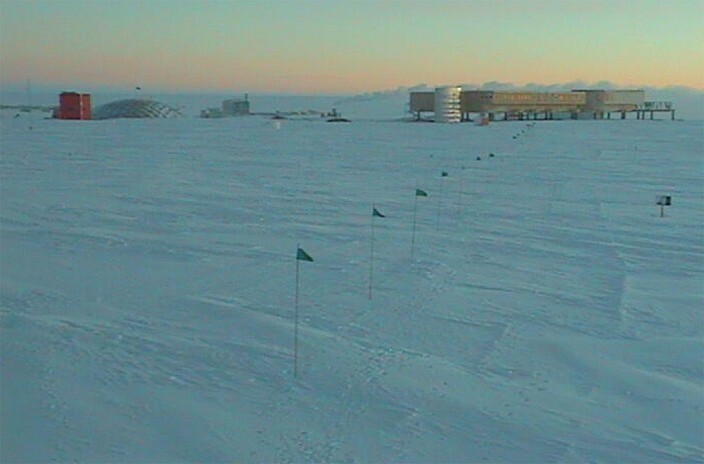 An excellent view of both the dome and the elevated station, from the NOAA ARO webcam on 25 March 2003, a few days after sunset. 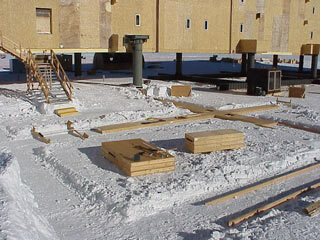 Credits...the NOAA ARO webcam photo was grabbed from the site indicated; photos marked (JM) are from Jerry Marty; photos marked (0203) are from a photo CD produced by the 2002-03 summer crew who graciously sent me a copy; and photos marked (WR) are from Wayne Ranney's Earthly-Musings blog. 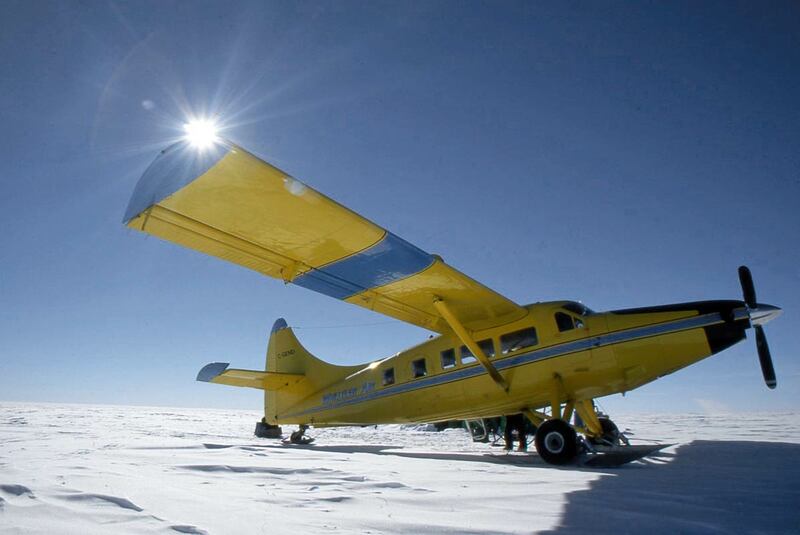 He'd worked at Pole in 1986-87 when we jacked up Clean Air...his December 2002 visit was when he was working with tourism and showed up on this single engine turbine Otter. 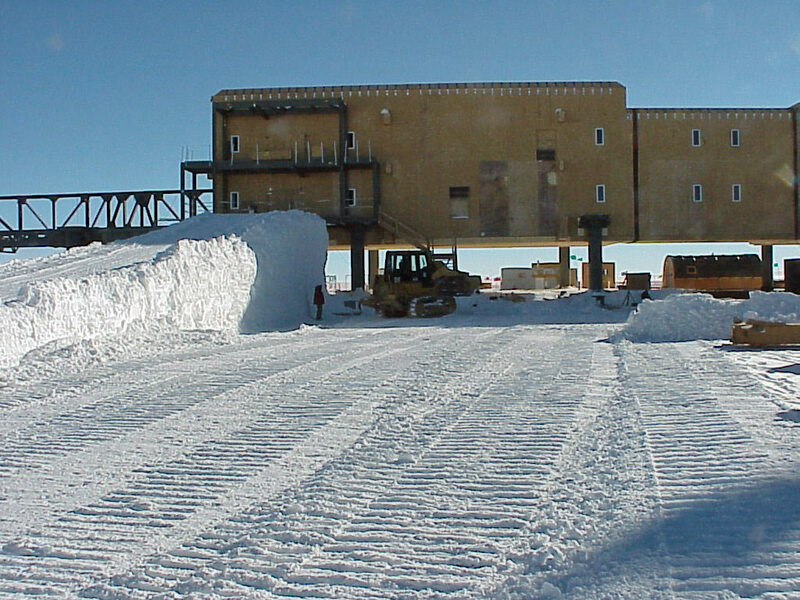 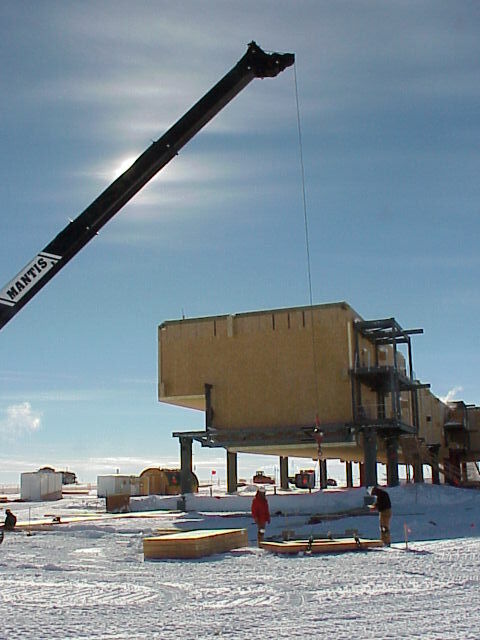 While this was happening, several miles to the southeast the SPRESSO seismic lab was being completed.